Finance is a major area of running any operation, especially for small business owners. Therefore it’s important and essential to seek professional advice and resources. This is our 2018 Best Financial Blog list where we name the top financial blogs which we feel portray these characteristics and more. By providing this list, we hope to give small business owners and entrepreneurs a deeper understanding of their finances. Favorite Blog Post: Starting a High Tech Business? You May Be Eligible for Government Funding: This post details how a government financing option for high-tech entrepreneurial ventures is one possibility for your research and development efforts in the high-tech small business sector. It’s a great example of why the SBA blog is a great resource for small businesses. About the Blog: The SBA’s blog is a very valuable resource, certainly for SBA loan applicants but also for small business owners who are looking for other types of business loans. Writer Caron Beesley helps entrepreneurs who are just starting out in their search for business financing as well as more seasoned business owners who are looking for specific details. If you’re considering applying for an SBA loan, then this financial blog is a must-read as it covers the ins and outs of every SBA loan program and how to put together an SBA loan application. Favorite Blog Post: Get Ahead of Your Online Marketing Strategy Today: An 8,000+ Word Guide: This extensive guide contains 150+ tips on creating and executing a killer marketing strategy for a small business’s online store. The guide is broken into five chapters covering website essentials, marketing planning, campaign research, industry trends and establishing a marketing budget. 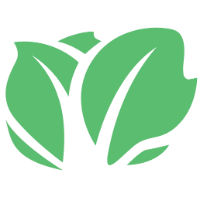 About the Blog: Kabbage is an online lender, and as expected, their blog offers a lot of helpful information on applying for a business loan from an alternative lender. Their blog features a lot of infographics, data, and visuals on what traditional lending offers for small business owners versus online lenders such as Kabbage. Favorite Blog Post: 6 Personal Finance Tips That Apply to Your Small Business: Are you launching a new business, but you’re not exactly financially savvy? Don’t worry. These personal finance tips that you may already use when managing your own finances will come in very handy when starting and growing your business. About the Blog: The Small Business Bonfire is a business blog, online community and weekly newsletter for business owners in all stages of business development. This blog posts fresh content every day that includes actionable tips, tools, advice and resources. Many posts focus on the financial considerations of starting a business and financial technology that is vital for budget-minded business owners. The Small Business Bonfire also provides relevant content related to starting a business, marketing, productivity, technology, employee management, e-commerce, security, work-life balance and more. Favorite Blog Post: Office Equipment Leasing: Should you Finance Business Equipment? : The post goes over whether you should pay cash for office equipment such as furniture or computers or whether it would make sense to lease or finance these expenditures. 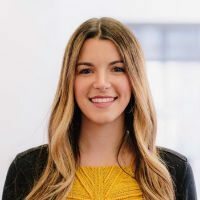 Favorite Blog Post: How to Raise Capital On Your Own Terms: This post outlines important advice on raising capital for entrepreneurs the way you intend to, giving advice such as not being in a rush to talk to investors and creating a sound strategy beforehand. About the Blog: The American Express OPEN blog is written by a group of financial experts who break down complex topics for small business owners. What we like is that they have a lot of articles that help small business owners be proactive about saving money, such as what to consider before refinancing or expanding your business to a second location. They also have a forum where you can ask questions or post comments about financing or other small business topics, and the writers or other readers can respond. Favorite Blog Post: 5 Steps to Create Your Own Self-Employed Benefits Package: Whether you have a part-time side gig or run a small business full-time, enjoying the entrepreneur lifestyle may be a huge reason you want to work for yourself. But a major downside is not getting a cushy benefits package. Laura Adams explains how to create your own self-employed benefits program so you protect your finances, cut taxes, and reduce the risk of working for yourself. About the Blog: The fun name of this blog was what first caught our attention, but the content on the blog confirmed our choice to include it on this list. 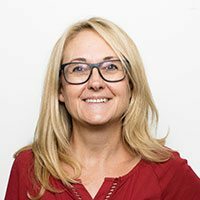 Laura Adams covers personal and business finance tips, which are especially helpful to women and to entrepreneurs with home-based, e-commerce, or fledgling small businesses. Adams even has a financial podcast if you prefer to listen to something while driving to work. Favorite Blog Post: Reversing Course on Declining Small Business Startups: Featuring insight from a panel of experts whom detail why small businesses are on the decline, as well as offering advice on how to combat this decline such as streamlining equity crowdfunding. About the Blog: Though Experian is best known for being a consumer and business credit bureau, their financial blog digs a lot deeper. The articles cover how to obtain a small business loan, money saving advice, and surprisingly, a number of articles on alternative lenders and how to get a business loan online. Experian also does small business webinars from time to time, and these are announced on the blog. Favorite Blog Post: 8 Simple Ways to Save Money: We picked this blog post as our favorite as it can apply to both the business owner’s personal finances as well as an individual working for a business. These are 8 awesome ways on how simple steps can help you develop a savings plan. About the Blog: At Bank of America, we’re committed to helping people lead better financial lives by equipping them with the skills, knowledge and confidence to succeed. That’s why we created Better Money Habits, a financial education platform of tools and information that helps people make sense of their money and take action to improve. 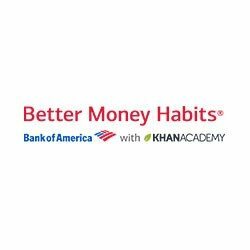 As a cornerstone of Better Money Habits, we offer free financial education content and tools that break down financial topics like saving and budgeting, credit, income and taxes, and more in a way that’s digestible, approachable and tailored. Favorite Blog Post: What You Need To Know About A Business Line Of Credit: Primary Editor Ty Kiisel goes into detail a line of credit for small businesses, as well as discussing how this useful tool can be used to finance day-to-day working capital needs among other necessities. About the Blog: Created to support and empower small businesses, OnDeck is 100% committed to serving their customers with the smartest financing solutions and world-class service. OnDeck is the secure financing service that business owners everywhere can truly rely on. 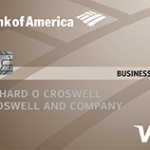 Favorite Blog Post: Which Credit Card Can Help Me Build Business Credit? : Nav’s Education Director compiled a list of all the major credit card issuers to help small business owners understand which ones can actually help them build business credit. Entrepreneurs with business credit scores can access more (often better) financing options, and a business credit card from the right issuer is an easy place to start. About the Blog: Nav is focused on helping businesses improve their business credit score, and get streamlined access to affordable financing. However, their blog also includes a variety of actionable advice that can boost the bottom line of small businesses. For example, they have articles of how small businesses can combat fraud and negotiate lower merchant processing fees. Favorite Blog Post: The 5 Most Profitable Industries for Small Business Owners in 2018: This post provides a top-level overview of the most profitable industries for small business owners, and then dives into specific examples of businesses and business models that are most successful within those segments. It also includes actionable steps from the start of the article to help new business owners assess their opportunities and get moving on growing their businesses. About the Blog: Fundera’s publication provides business owners with everything they need to know to effectively grow, manage, and run their businesses—and put the expert advice into practice immediately. Incorporating Fundera’s onsite resources including business loan calculators, credit card selectors, a newly launched credit monitoring tool, and more, the blog features many forms of dynamic content to help guide business owners through selecting the best tools for their business, and guides them the process of securing all types of financing. We’ll be there every step of the way as business owners set out on a path to improve their creditworthiness over time, and become eligible for the best financing products for their business. Favorite Blog Post: An Inside Look at the Best Way to Build a Sales Forecast by Noah Parsons: Noah Parsons, chief operations officer of Palo Alto Software, pulls back the curtain on how he built a sales forecast for a new product. He gives great (tested) advice on how small businesses and startups can use the same process to create a truly useful forecast of their own. 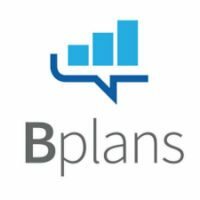 About the Blog: From planning and pitching, to funding and managing, Bplans is a hub for thousands of articles featuring expert advice on starting a business, and more than 500 free sample business plans. More than 1.5 million people read Bplans each month to amplify their skills around starting and growing a business. Financial planning for business can feel intimidating and overwhelming, especially for first-time entrepreneurs and small business owners—but it’s critical to long-term success. So we strive to demystify it and empower people with the tools and knowledge they need to leverage their financials for growth. Favorite Blog Post: 5 Best Business Credit Building Hacks for Maximum Results: Learn five of the best strategies that can help you improve and speed up the business credit building process for your startup or existing business. About the Blog: Business Credit Blogger has been educating small business owners and entrepreneurs about the proper ways to build business credit. The aim of the blog is to teach how to do this without putting personal assets or credit at risk. Favorite Blog Post: Why Stacking Can Hurt Your Business: This article goes in-depth, utilizing a helpful info-graphic, on why taking on extra debt or financing on top of your original one to fund your business without informing your primary lender can hurt your business. It also details solutions if your business needs additional financing. About the Blog: BlueVine’s blog has several articles breaking down how invoice factoring works, who is a good candidate, and how to shop for a good receivables financing partner. They also cover more general topics, such as what to look for in a business loan and how to better manage cash flow. Favorite Blog Post: 5 Common Tax Mistakes Small Business Owners Make: Fundbox interviewed two expert financial consultants and thought leaders who also happen to be business owners: Geni Whitehouse and Jan Haugo. We distilled the conversations into a series of highly targeted, helpful, actionable blog articles geared toward helping SMBs nail their tax seasons. This article focuses on 5 of the most common mistakes business owners make and how to avoid them. 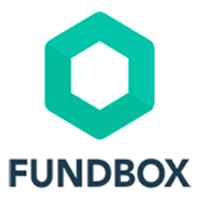 About the Blog: The Fundbox Small Business blog provides education on financial topics that small business owners need to know, guidance that they can use in growing their businesses, success stories from entrepreneurs like them, and features on thought leaders from around the financial industry. Favorite Blog Post: How to Use a Small Business Loan: This post provides entrepreneurs with ideas on how they can utilize a business loan, and how each idea can improve their operations. 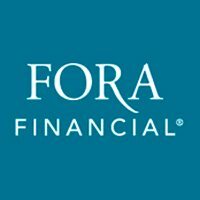 About the Blog: On the Fora Financial blog, we post about a variety of topics including our working capital, industry-specific content, marketing, technology, company news, and much more. We strive to provide small business owners with the financial insight they need to grow their businesses. By writing about these topics, we’re able to give business owners suggestions on how to improve their business finances. Favorite Blog Post: End of Year Checklist For Business Growth: Our “End of the Year Checklist ” has to be one of my favorite recent releases. It covers everything SMBs need to get in order for a successful beginning to the new year. About the Blog: At Credibly, we feel as though a lot of blogs in our space suffer from a content “sameness” issue. That’s why we take pride in providing content that teaches SMBs how to get more out of their available capital and existing operations. Favorite Blog Post:What Happens When You Default on an SBA Loan? : A powerful kick-starter for the economy, SBA loans are backed by the federal government and intended to help small businesses get up and running. But what happens when a business owner is unable or unwilling to make the payments on an SBA loan? This post covers what business owners need to know about the SBA’s collection process, settlement negotiations, and the best practices for avoiding trouble with the Treasury Department. About the Blog: From the nation’s leading marketplace for small business loans, the Lendio Blog provides small business owners with the educational tools they need to succeed. Topics include finances, lending and credit, growth strategies, marketing, sales, customer service, operations, government issues, management, and more. Also an up-to-date source for thought leadership and expert advice, the Lendio Blog features guest posts from Lendio’s trusted partners and fellow experts in small business lending. Favorite Blog Post: Is Timing Everything When Sending Invoices? : The timing of sending out invoices can take a few different courses when billing a client for your services. This article discusses the pros and cons of requiring upfront deposits, sending invoices during the work being completed, as well as waiting after the work is finished. About the Blog: FreshBooks makes accounting painless for millions of small business owners. But, as a self-employed professional, the work doesn’t end there. So the FreshBooks blog is here to help! With actionable insights into all aspects of running a small business, FreshBooks helps self-employed professionals and their teams thrive. Favorite Blog Post: A Revenue Driven Hiring Process: This post discusses the metrics that business owners should employ when deciding if and when they should hire to fill a role. 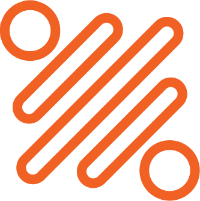 About the Blog:The Resourceful CEO blog serves as the strategy, operations, and financial adviser to small and medium business owners and executives of companies with multiple employees and $3 to $30 million in revenue. 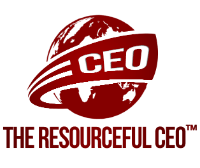 The goal of The Resourceful CEO blog is to help business owners tap the resources they need to build a highly valuable, high cash flow business that runs well without their daily involvement by focusing on all the issues that directly and indirectly impact cash flow. In this way, more business owners will be able to have the business they envisioned and fully monetize their investment in their “baby” when they are ready. Favorite Blog Post: How to hire a part-time CFO that fits your company culture: A tale of 3 radically different CFOs: Hiring a CFO is tough: No other role will be so crucial to your success, so getting the right chemistry, skill set, experience and personality is vital. About the Blog: Actionable Advice covers a variety of financial topics. The blog’s goal is to help small businesses be more profitable, more sustainable and more fun! That’s what drives the content of their blog posts and the success of their business. 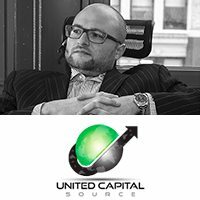 David Worrell, a Fuse partner, writes informative posts on topics that are probably on the minds of many small business owners, such as “Shark Tank Exposed: ABC’s ‘Shark Investors’ are Unrealistic and Dangerous” We like his personal, conversational tone and the humor he brings to his posts. Favorite Blog Post: Is Your Small Business Financially Healthy? : Small business owners seeking an SBA loan are kept in the dark regarding what banks consider during the application process. SmartBiz Advisor is a new and transparent online tool to help entrepreneurs learn how to get the low cost SBA and bank funding they deserve. About the Blog:The SmartBiz Small Business Blog is written for the established US based small business owner offering in-depth information for entrepreneurs interested in growing their business, saving money and getting SBA loan ready. Content is topical, actionable and inspirational, written to inspire hard working Americans running their own enterprise. Marketing, cash flow, branding and how to assess the health of your business are just a few topics covered with two posts published each week. Favorite Blog Post: Missed Your Business’s Tax Deadline? Here’s What You Can Do: This post outlines what a business owner should do after missing their deadline to file their business taxes. It’s broken out by different aspects of a business that could increase the load of penalties and fees compounding overtime once they’re late. About the Blog: Our Two Cents aims to provide the clearest, most informative content to empower entrepreneurs to feel confident about the financial aspects of running a business. Our writers work with our in-house subject matter experts to take complex tax and accounting topics and tease out the crucial information startups and small businesses need to know. Sometimes that means wading through the IRS’s website, other times it’s sharing what we’ve learned by helping over thousands of small organizations gain control over their finances and reach their growth potential. We also work with outside experts to diversify and expand our topics to financing, payroll, and even retirement planning for business owners, founders, and CEOs. Favorite Blog Post: 6 Financial Ratios To Know Before Applying For Small Business Loans: Knowing about financial ratios and how your business stacks up can help prepare you when it’s time to apply for small business loans. Favorite Blog Post: How To Create A Covered Call Trade Strategy: Selling call options against stocks in a portfolio to generate cash flow. As well as usable guidelines for fitting your call-writing strategy to the stock. About the Blog: The Financhill blog is designed for stock and options traders who are looking to make better investing decisions by understanding how to conduct smarter fundamental, technical, and sentiment analysis. From price/earnings ratios to Piotroski scores, we cover the gamut of fundamental metrics and technical indicators that you need to know to make more informed trading decisions. Young or old, new or experienced, the Financhill blog is designed for investors with long-term time horizons and traders looking to maximize intra-day returns alike. Our specialty is in providing independent, proprietary stock ratings and seasonality. Favorite Blog Post: Minimalist Living: How to Thrive on $1,000/Month: In our first year of marriage, Vanessa and I spent less than $1,000 per month on all living expenses. This 12,500 word guide explains the rationale behind our decision and provides detailed examples to help others achieve financial success. About the Blog: We teach nearly 100,000 unique monthly readers how to build lasting wealth and secure financial freedom. We try to help our readers improve their lives. We share research-based recommendations about relationships, financial freedom, personal financial planning, and most things money related. 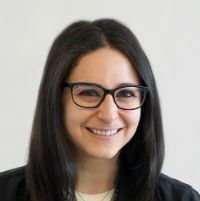 Favorite Blog Post: Improving Transparency In The Fintech Business Lending Market: How the industry association (Fintech Australia), a federal government regulator (The Small Business Ombudsman) and an independent industry expert (theBankDoctor) have come together to develop a road map for improving transparency in the fintech business lending sector. 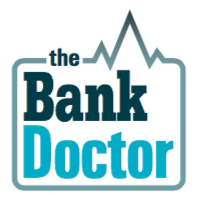 About the Blog:theBankDoctor is an independent not-for-profit online resource centre that helps small business owners deal with the challenge of funding their business. All our resources including theBankDoctor’s newsletter are totally free. theBankDoctor generates no revenue and is 100% funded by Neil Slonim a former senior career banker as his way of giving back to the community. 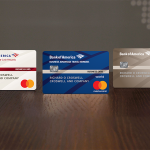 Favorite Blog Post: Top Business Credit Cards 2018: With so many credit card options available to business owners – both personal and business – it’s hard to choose the right one. I’m proud of this article because Jeff took the article I originally wrote (with 3 cards), and expanded it to 10, and counting. This is a comprehensive article on the best business cards for any type of company. About the Blog: Fit Small Business’s small business finance section is full of great posts that guide you through the small business loan space. If you want to learn about a small business lending topic or concept, Fit Small Business probably has an article explaining it. If you want to find a lender to work with for a certain type of financing, Fit Small Business has probably reviewed the top lenders in the space. Plus, reader’s questions in the comments section and forums always get full, helpful answers from the writers. Favorite Blog Post: Types of SBA Loans: Rates, Terms, & Qualifications: The SBA loan program is such a valuable resource for small business owners but many entrepreneurs either don’t know much about loans available or have misconceptions. 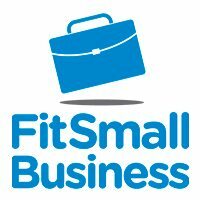 What I like about FitBiz Loans is that they break down complex topics, like SBA loans, in easy to understand ways. Even if you only have 5 minutes, you’ll get the key information about a subject and walk away much better informed. There’s no fluff – just great information. 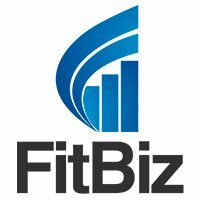 About the Blog: FitBiz Loans has lots of great information for small business owners who are weighing their loan options. The FitBiz Loans blog is full of posts that contain great tips for small business owners, from ways to build your credit score to what truck drivers considering becoming owner operators need to do in order to get a loan for a semi truck. The blog also does a great job introducing less well known lenders that small business owners might not have known of before. I think it’s awesome someone is finally taking notice of our vet’s and doing something to help them. I hope all goes well with these articles. More new information i will get after refer that post. Great list of blogs, thanks for sharing the list.It’s very interesting,and useful too. Amazing list. Thanks for sharing this blog, I am going to start a new small business and your steps will help me. I like it. Glad you got some useful information from the blog. Good luck with your venture.